Well, this is awkward. A week ago I predicted that Ender's Game would be little less than a total disaster. I thought it would lose the novel's impact and reverse its message, and perhaps even worse than that I called the director names. Fortunately, I was mostly wrong, and now there is published evidence that I cannot predict movies based on trailers. 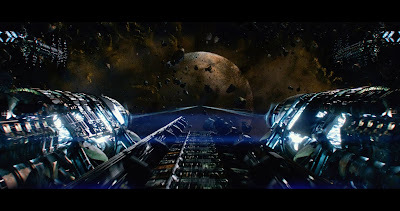 While Ender's Game doesn't quite compare to autumn's more recent highly anticipated science fiction blockbuster Gravity, it definitely blew my expectations out of the water. It was both more faithful and more enjoyable than I had anticipated. That said it's still far from a perfect adaptation. It not only leaves out things which are arguably unimportant for anything beyond creating a detailed and immersive universe, but also omits much more important aspects of the tone and message which crucially impact the meaning of the film and change it from that of the novel. Whether that makes this a bad movie is likely more of a personal call than anything else. A bit cluttered but otherwise pretty cool. Because of how I want to talk about the movie and the way it adapted the book there will be extensive spoilers from both throughout. 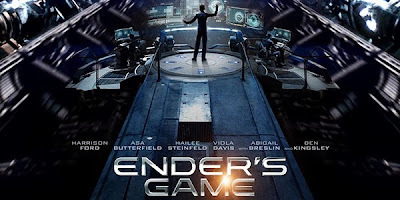 Additionally I'm going to mostly discuss how I see Ender's Game as a failed adaptation when on the other hand I thought it was a pretty enjoyable movie in its own right (and in general I resist judging movies based on their fidelity to their source material). Consider yourself doubly warned. So as those of you who have seen the movie or read the book know, Ender's Game is about the nature of perception and reality. The main character Neo is the chosen one who must fight an evil, inhuman enemy to save the rest of humanity from oppression. On his journey he meets Trinity who helps him understand and develop his talents and supports him emotionally through his challenges. In order to defeat the enemy he must learn to control and manipulate a simulation, but what at first appears as virtual reality has a much more intimate connection with the real world than anyone realizes. Okay, I'm a little bit sorry, but I couldn't resist. To tell the truth, Ender's Game isn't all that similar to The Matrix beyond the few points I highlighted above. One of the problems for me however is that it is much more similar to The Matrix than the book which definitely was not. The key difference here is that the novel was about Ender's personal struggle, about how (as he vents to one of his soldiers) every time he begins to figure things out they change the rules of the game. It's about his constant isolation and how the teachers at both Battle School and Command School are alienating him from everyone and everything around him. And in the movie they give him Petra. I don't care that it's supposed to be Bean and Petra who (eventually) get together. I don't even care about the possibly awkward sexual tension between the definitely underage characters. I care that they took what was originally a dark and desperate narrative and made it lighter and easier on Ender so that his journey isn't as much of a trial as a fun little military action/drama. They let Ender make friends. They even put Bean into Ender's launch group so he has a friend right from the start. This probably makes the movie more enjoyable than it would have been if it had been more faithful to the source material, but it also sacrifices a major theme. In the book, Ender's isolation forces him to find pleasure and emotional release in the games he plays. He does extremely well, but his success in the games through virtual violence is also contrasted with his real cruelty to the children around him. Ender constantly tells himself that he's not a violent person, that he does these things to the others out of an aversion to fighting. He fights in order that he need never fight again, but nonetheless he keeps doing it. This situation is encapsulated in the best line from the book (which the film omits) when Valentine notes that "Perhaps it is impossible to wear an identity without becoming what you pretend to be." As much as Ender thinks to himself that he's not a violent person and is just playing the games so his instructors will leave him alone, he is still becoming a killer. The only really great moment in the Battle Room. And this is where the argument between Ender and Graff that the movie adds after the final battle totally misses the point. Ender yells at Graff that he wouldn't have killed all those Formics or sent his pilots to die if he had known that they were real. Because of his unknowing transformation into a killer, and for the good of the human race, he would indeed have killed those Formics and sacrificed his soldiers. The crucial realization that Ender makes after killing the Formics is not that he's just committed genocide on an entire population (although this also happens), but that his virtual and real violence are actually the same. He has become what he at first only pretended to be. 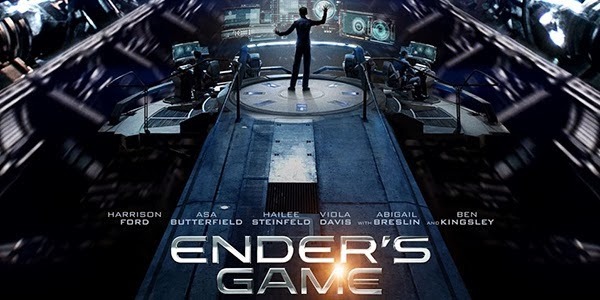 The movie fails in this regard by giving Ender friends and changing the nature of his journey and by generally misunderstanding the book's purpose. But does that make it a bad movie? Of course not, it just makes it a bad adaptation. 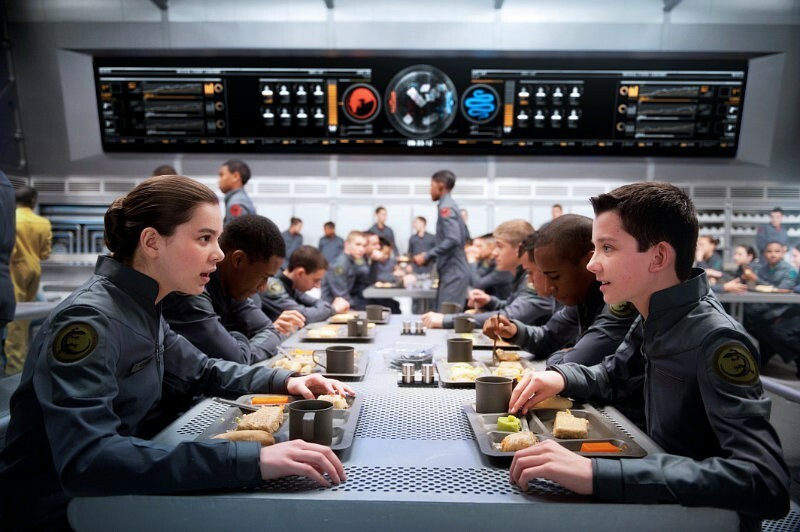 Ender's Game is very enjoyable for the most part although there's nothing revolutionary about it cinematically. There's a fabulous disorienting shot in the Battle Room, the Ansible simulation battles are epic (if somewhat short-lived), and the shot of Petra's ship cutting through the immense bugger fleet was incredible. The acting is all impressive especially considering the age of most of the actors (Ender and Bonzo were my particular favorites). Instead of the central theme from the book we get a pretty solid anti-military message (reminiscent of Agamben's critique of the state of exception and Benjamin's critique of state-founding violence) which works well even if it isn't really anything special in my book. 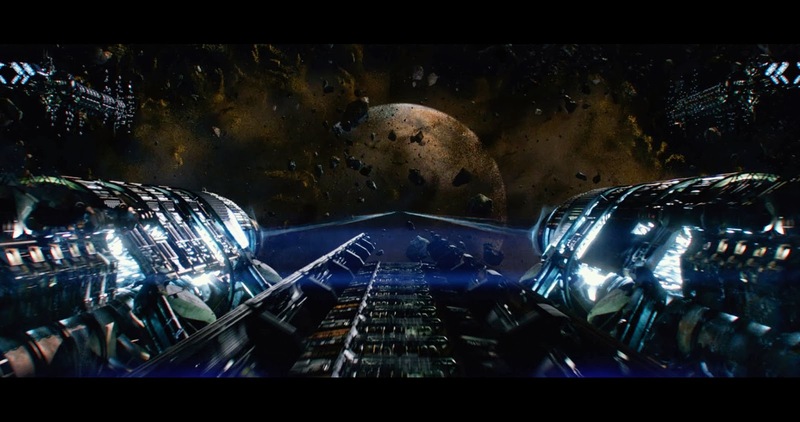 So when it really comes down to it I would definitely recommend Ender's Game, I would just advise not to expect a beat-by-beat recreation of the book. I'm a little scared about reading this review because I don't want to be spoiled. That's why I avoided your 'Predictions' article as well. But I will read them eventually and comment, probably when I've read the book, which I will do so before I see the movie. I heard the book is really awesome, with a few twists, so I'm blocking everything out. The movie is released on 5th Dec in Australia, but once I read the book, I see no problem reading your statements. In terms of what I know about the story, I know nothing. Definitely block everything out! Yeah I like the book and the movie but I won't say anything about either. That's too bad they don't release it for another month in Australia. I hope you like it when it does come out!